Born out Lafayette, Louisiana going by the name of “Drizzy Dre'” or “Dresohiigh”, a well known promoter/designer in his city who recently started making music and from what we seen is making good progress. He is best known for his versatility being able to make R&B love songs, Dancehall, & even trap music. He has created “The Wavement” along with his brothers DTR Cartez (artist) & SoSa Perrion (producer). Drizzy Dre is one of the new wave artists that is humble, staying postive & supporting/ motivating others. He is inspired by other rappers such as Rich The Kid, The Migos, and also Famous Dex adding who also motivated him & his team to keep going because they have the potential. They also have videos rapping, smoking, and even Famous Dex has a placement on one of SoSa Perrion (producer) beats. 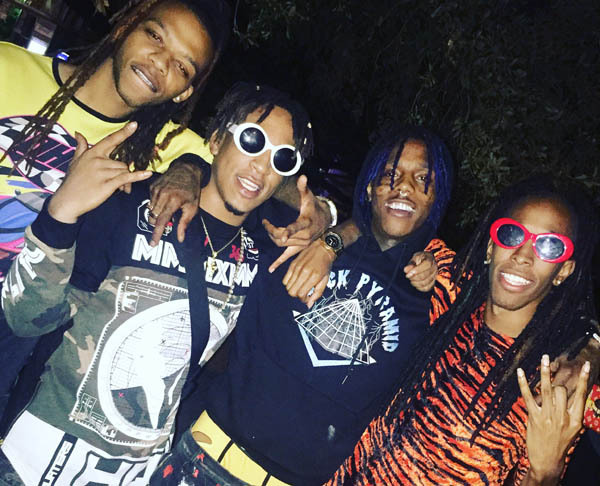 “Meeting Famous Dex really motivated me because we actually clicked, usually people meet celebrities and freeze up. He blew some backwoods with us telling us his come up in Chicago & how it really pushed him to make it to where he needed to be. We exchanged numbers & everything” He replied. Also. Drizzy Dre’ also said it’s hardly people in his area that make music in his genre so he is racking up his soundcloud followers & is doing numbers everyday on every track. He has a song out called “Chopsticks” going off the YBN Almighty Jay beat & he executed the song perfectly adding his Louisiana flare to the song. He has also teamed up with other artists in his area that also have a huge Soundcloud following such as Summrs who he also has a song with called “HEAUXS” that’s doing numbers at this moment & Lil Autumn both from Louisiana. He tells us that his plans is to shed light on the New Wave music that is coming out his Lafayette area and to make it out being that no artists came into the big industry just yet. “Elevation is a must, can’t stop for anybody, we got families to feed & people counting on us who also lookup to us. We not the type to feed into negativity, we just want to show everybody from our city and around the world who watches us that no matter what people think, how they feel, always be different and do what YOU wanna do” he replied. Be on the lookout for Drizzy Dre’ & The Wavement because if the spot gets chosen, they plan on making a huge impact to the industry. Look out 2018, The Wavement is up next and we putting bets on it.